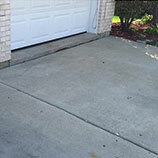 If you’ve noticed that a section of your driveway or garage floor seems lower than the others, or that there is a hollow sound under the slab when you walk or move something over it, chances are there is a void, or pocket of air or water under the surface. This void can be caused by soil consolidation or erosion, or could be a result of improper concrete pouring. Regardless of why the void is there, B & B Concrete Lifting can take care of the situation. 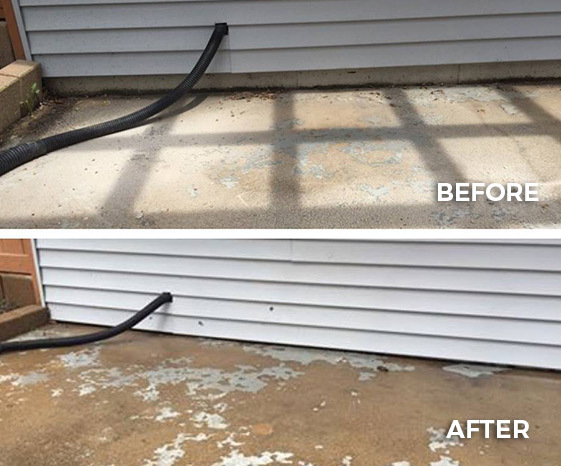 Voids can happen under any slab of concrete, from your front sidewalk to your carport or driveway. 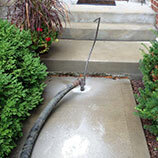 Voids can cause sections of concrete to crack or settle, and this can create drainage problems around your home. Our team will come in and fill any voids with erosion-resistant material, stabilizing the area and eliminating the pocket. This process is often known as “mudjacking,” and when done correctly, can help you avoid concrete problems in the future. 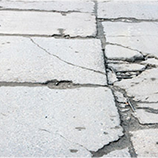 If left untreated, voids can lead to serious issues that could result in having to completely re-pour the affected concrete. 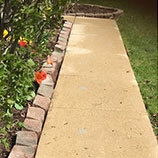 If you have problem areas in your driveway, garage floor, front steps, or anywhere else around your property, contact B & B Concrete Lifting in St. Charles area. We’re proud to serve the northwest suburbs of Chicago, and promise exceptional service and support from the moment you call. Once we’ve inspected and diagnosed the void problem, we’ll get to work right away on fixing the issue. We look forward to working with you!